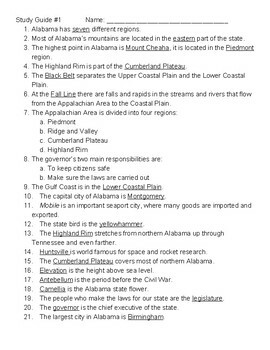 This study guide is desgined to complement issue #1 of Alabama Studies Weekly, "The Great State of Alabama". The study guide covers all material required for the weekly assessment and the crossword puzzle. 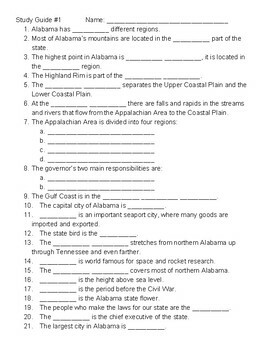 Fourth Grade Social Studies in Alabama is many student's first exposure to having to study and prepare for a test. This can help ease their way and learn how to study, picking out what's important to know, and develop good habits.